The next upcoming National Nurses Day is on Monday May 6th, 2019. 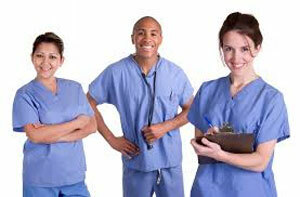 National Nurses Day is held annually on May 6 which marks the beginning of National Nurses Week. The day is to recognize the contribution nurses make to our world and to provide thanks. Celebrations and luncheons are organized to honor the nurses and recognize their contributions. Flowers, gifts and other thoughtful tokens of appreciation are often giving to nurses by patients, fellow employees, management and family members. The final day of Nurses week May 12, is Florence Nightingale's birthday. Florence Nightingale became famous as an English nurse for her work of making rounds at night during the Crimean War. On October 1954, National Nurses Week was first observed (100th anniversary of Nightingales mission to Crimea) and later in 1982, May 6th was introduced as National Nurses Day.